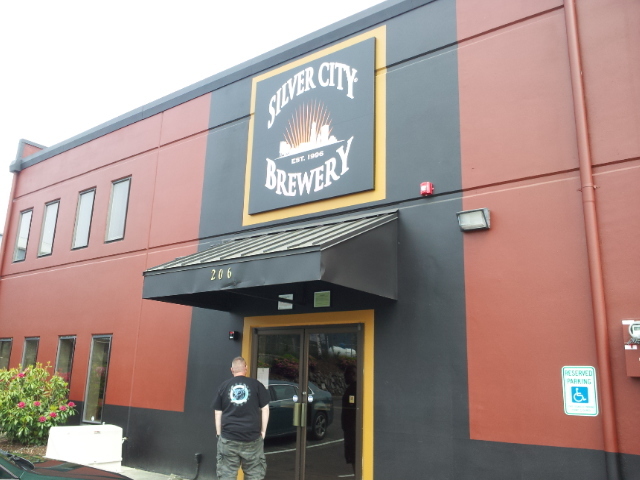 Just when you though Silver City Brewing couldn’t get any better they go and open a taproom! 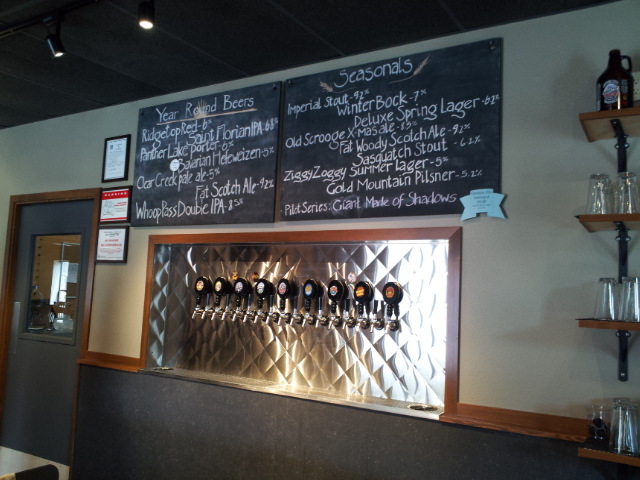 And not just any run of the mill taproom; probably one of the nicest tap rooms I have been to (and I’ve been to a lot!). The outside of the building is beautifully designed and the inside is very casual, open, and inviting. The bar area opens up into a 2nd room to sit back at a high table and enjoy your beverage. A flat screen TV hangs high on the wall along with vintage posters of drinking days gone by. But the “magic” happens next door in the brewery itself. Windows in the bar area give the patron a chance to view where the brewing process happens. To be honest, there is nothing prettier than large, shiny, mash tons and kettles! What did I drink on this day? I’m glad you asked. For my first pint I enjoyed a lovely pint of Silver City’s Deluxe Spring Lager (6.2% ABV). One of my favorite seasonal beers from Silver City, the Spring Lager is crisp, sweet, and very flavorful yet the body is light to medium. Light hop/floral aroma and finish really make this baby something special. My next pint is a crowd favorite among Silver City fans: Ziggy Zoggy Summer Lager (5% ABV). I get excited every year when this gem is released. Unfiltered, sweet, spicy and elegant, this German-style “Zwickelbier” is sure to make you smile. Honey Malt and Pilsner Malt give Ziggy Zoggy the pretty sweetness I love and the finish is smooth with a touch of honey. Food is not served at the taproom but they do offer pretty darn tasty peanuts but you are welcome to bring your own food. Brewery tours are available Wednesday through Saturday at 4:00pm but they also offer private parties and tours on Mondays and Tuesdays so check with the taproom for available times. The taproom itself is open Wednesday through Sunday and is a perfect way to spend an afternoon!